Prior to the JOBS act, which introduced the ability to market some securities online through “general solicitation,” issuers were largely limited to word of mouth and personal networks to find investors. This made it more difficult for issuers located in small and even medium-sized markets to gain the investor attention required to successfully fund offerings. Luckily, general solicitation has opened the doors for issuers in these markets, granting them access to investors regardless of geographic location. In 2016, there were a total of 40,202 Form D filings totaling $1.3B in market volume. Unsurprisingly, large markets such as New York (5,000+), San Francisco (1,500+), Boston (1,100+) and Chicago (1,000+) have a high concentration of filings. However, our research also uncovered some prominent ‘middleweights’ in a number of diverse markets. While Houston is hardly considered a middleweight in terms of population, it is easy to overlook “Space City” in favor of the flashier cultural centers mentioned above. As the nickname implies, Houston is home to NASA, which helps attract forward thinking individuals working in technology and even healthcare, two top industries in the city that also appear in the top industries for Form D submission. But the largest industry in Houston is oil and gas. Houston is home to the headquarters of many Fortune 500 energy companies such as Phillips 66, National Oilwell Varco, and Marathon Oil. In 2016 there were 604 Form D filings for oil and gas offerings. Houston also ranks highly for venture capital activity, with $251 million invested in 2015. Venture capital activity tends to concentrate in areas of technological innovation. In addition to NASA, Houston is home to offices of major technology companies such as Microsoft, HP, and IBM. Compared to Houston, Vancouver is a very small city, about 1/13th of the size with a population of less than 200 thousand, which makes it all the more striking how active it is when it comes to private placements. Located just across the Columbia River from the Portland, Oregon, Vancouver’s high capital raise activity is likely the result of state tax laws. Much like Delaware on the East coast, Washington does not have state corporate income tax, which motivates startup companies in the surrounding areas to incorporate within the state lines. 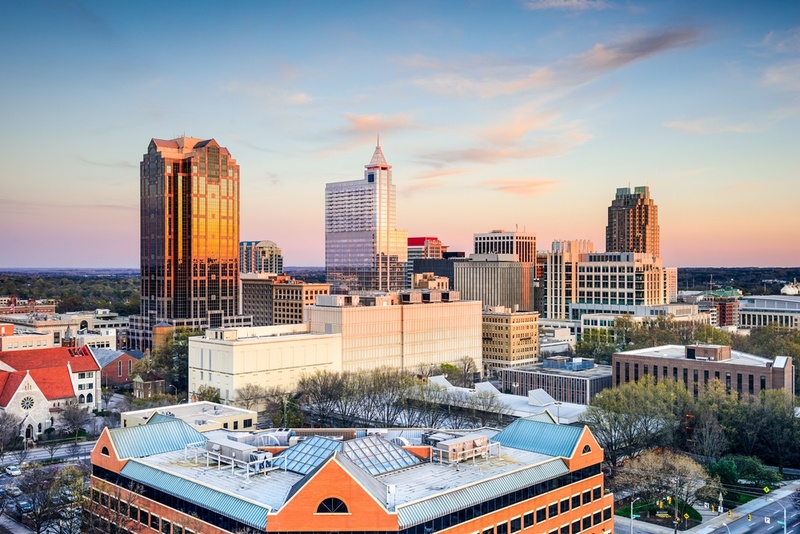 Raleigh is home to Duke University and serves as one corner of the North Carolina Research Triangle, an area anchored by prestigious universities and the offices of major technology companies such as Cisco, IBM, and Lenovo. The area also includes a high concentration of healthcare and energy companies. Raleigh’s venture capital activity, with $283 million invested in 2015, surpasses even that of Houston, despite being a much smaller metropolitan area. By far the smallest city on our list with a population of just over 60 thousand, Hamilton is home to numerous business incubators such as Hamilton County Business Center, one of the largest and most successful business incubators in the country, helping to launch hundreds of startups. Hamilton falls within the Cincinnati metro area, but its significantly lower cost of living may help explain why small businesses have congregated outside of the larger city. The Twin Cities metro area is the second largest economy in the Midwest behind Chicago, so it should come as no surprise that it has significant capital raise activity. One of Minneapolis top industries is finance, and with so many wealth management companies in the area, there must be wealthy clients to service. Minneapolis is also known to be a technology town. Back in 2005, Popular Science named Minneapolis the Top Tech City in America based on its well-above average performance on education level, energy conservation, research and development spending and more. While it is less renowned today, Minneapolis remains a significant technology innovator. This data showcases an interesting diversification of opportunities in private capital across the country. With distributed access to capital and investment opportunities via online private placements, we believe that in coming years, we’ll see this trend continue. This analysis also may be useful to help identify new business opportunities and follow investor capital flow.